A few weeks ago, a dear friend sent me a message. He said that he found it amusing that most of the articles in The Catholic Weekly were about goodness and light and family life, and mine are generally a little (or a lot) more pessimistic! I am going to disappoint him today, because while I am going to again discuss a serious topic, I want to do it with a sense of optimism. Recently, I wrote about a pro-abortion protest which occurred at St Mary’s Cathedral and a bill which Labor MLC Penny Sharpe was preparing to introduce to NSW Parliament. In addition to this, another and more concerning bill will likely be debated concurrently. Greens MLC Mehreen Faruqi has already introduced a bill which would not only enforce exclusion zones around abortion clinics, but would decriminalise abortion altogether, making it legal for any reason and at any time up until the moment of birth, and require medical professionals who object to participating in abortion to refer patients to other practitioners who hold no such objection. If passed, I am pretty sure that these laws would be the most extreme in the whole world, which is obviously not something for which we want our state to be recognised. With Ms Faruqi’s bill introduced back in August 2016 and Ms Sharpe’s in March, the timing of when they would be debated – or indeed if they would be debated at all – was uncertain. It only became clear at the beginning of last week that debate was imminent. What happened next was really a sight to behold. A petition was put together to ask the NSW Legislative Council to oppose the bills. In order for a petition to be accepted by the Parliament, there needs to be original signatures put onto a physical piece of paper. In the days of social media and online petitions like those which frequently circulate on change.org, the idea of getting people to sign by hand is somewhat antiquated. But those wanting to get the petition to as many people as they could utilised social media to spread the word about the laws and the petition, and to rally people to collect as many signatures as possible. An urgent call was put out on social media for volunteers to spread the petition around, noting that it needed to be completed in just a few days. Volunteers popped up across NSW, offering to take copies of the petition to their family and friends, workplaces and churches, kids’ soccer games and other activities. To help them, hundreds of people went above and beyond organising their own little corner of Sydney, but offered to print out copies of the petition and make them available to people, to join others who were collecting signatures at large gatherings and churches, and to offer their homes as collection points for completed pages. In deep contrast to the portrayal of the pro-life movement being run by old men or clergy, I heard numerous stories of otherwise-reluctant priests being hounded by young women in their parishes who showed up to masses with petition pages in their handbags, ready to roll. One of the key organisers, Rebecca Gosper, herself just 21, said she was “surprised, amazed and overjoyed” that a Facebook group which started on a Tuesday managed to generate hundreds of volunteers for the weekend ahead. “This is truly a movement led by the young people of Australia and I am proud to call myself a young, pro-life, Australian woman,” she said. I have no idea how many signatures were collected over the weekend, but I imagine that it would be tens of thousands at a minimum. When given the invitation, so many people in this state came together as a single voice to speak on behalf of the voiceless; not only the unborn children who each year in NSW alone, but also the women who often feel that they have no other choice but to terminate the life growing within them. The people signing the petition weren’t only those from with a faith background, but so many others who object to the impact this would have on women, children and the medical profession. So often, too often, we look at the world around us and feel helpless in the face of the numerous and relentless attacks on human life and the dignity of the human person. We can feel like we can’t make a difference. 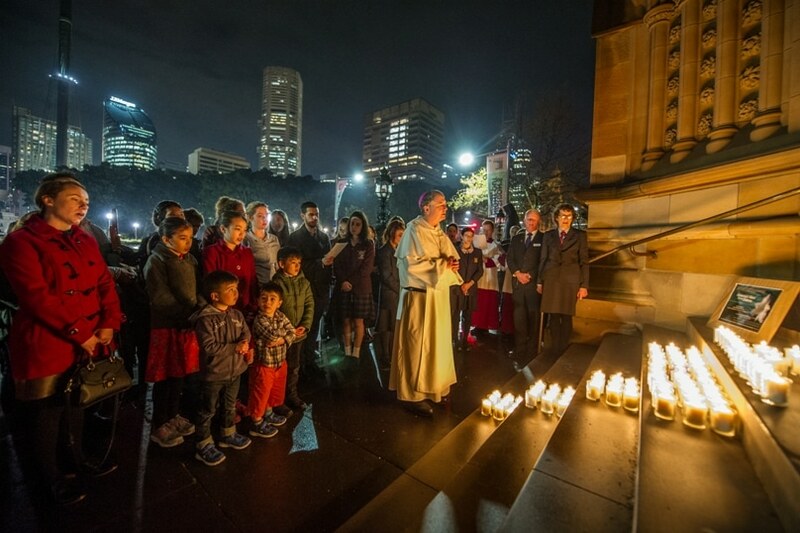 In those times, we need to remember weekends like the one just gone by, when people from across the state, old and young, in the city and in regional areas, of all faiths and none, raised their voices in the old-fashioned way, with a paper and pen, and overwhelmingly outnumbered those pushing for a culture of death. There are so many reasons for us to be hopeful, to reject the temptation to discouragement and keep fighting for what we believe in. Not only is there strength in unity, there is also great joy.